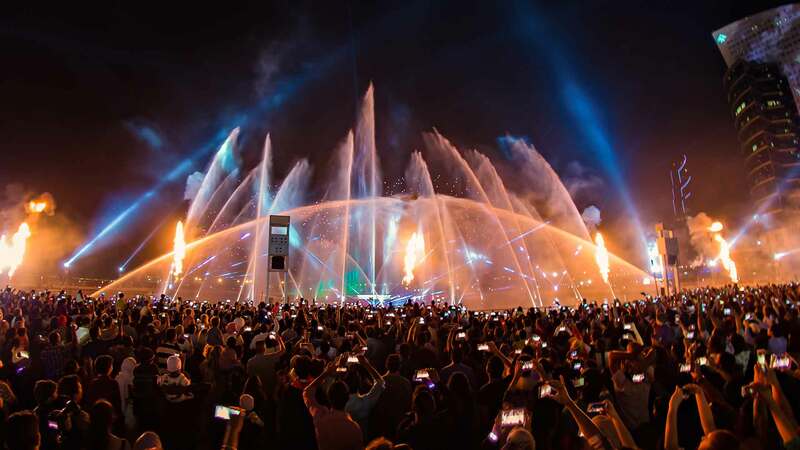 Wow-ing audiences since the start of the year, Dubai’s multimedia night-time spectacular IMAGINE has just shifted up a gear with the premiere of a second show called A Child’s Dream, plus a new Guinness World Record to boot. 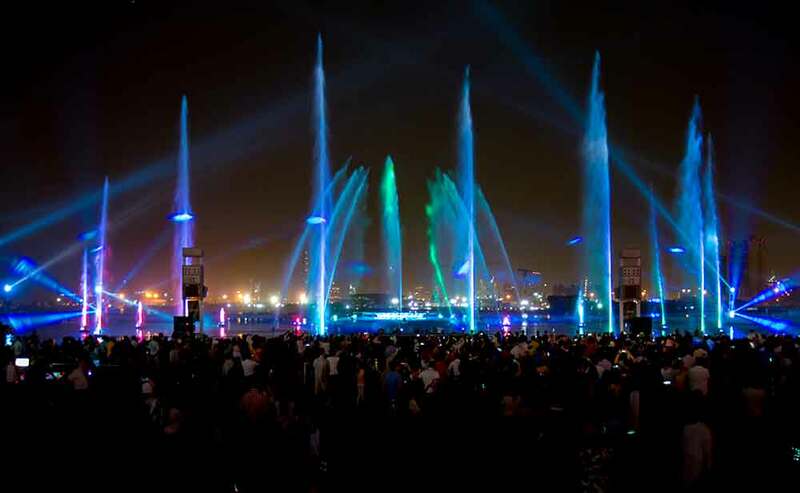 Blooloop shines a spotlight on this after-dark entertainment highlight at Dubai Festival City. Like most shopping malls in the United Arab Emirates (UAE), Dubai Festival City features an integral leisure and dining component. Ten years after opening, it’s become one of the older malls in this fast-growing city. Operator Al-Futtaim therefore wanted something to put it back on the map. 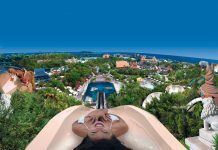 In 2015 it opened Festival Bay as part of a DHS1.5 billion ($408m/€365m) expansion. There’s now almost 400 retailers in addition to 75 restaurants – many of which feature waterfront dining against one of Dubai’s most photographed sunset vistas, close to Dubai Creek. And now comes IMAGINE. 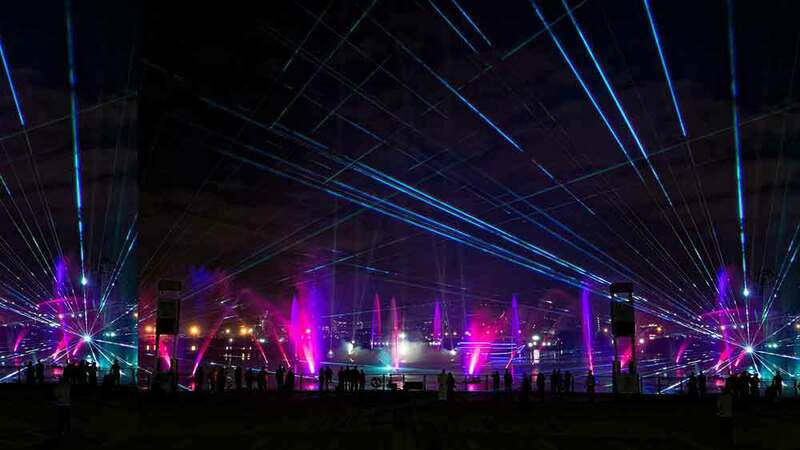 The multimedia spectacular – lasers, fountains, pyrotechnics and a whole lot more – debuted in December with the premiere of Stardancer. 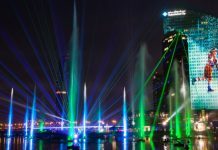 It is one of two light shows to have opened in Dubai in the last six months, along with a new nightly production at City Walk. 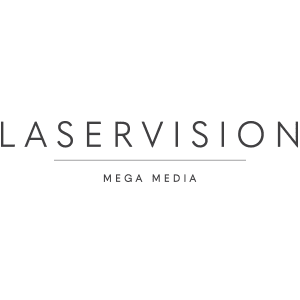 To produce it, the Al-Futtaim Group turned to Laservision Mega Media. This was the first time the Australian company had worked in the UAE, although it already has extensive experience in Asia, Russia and India, as well as its on its home turf. 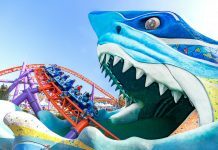 “Through IMAGINE we wanted to provide visitors with an attraction to come back for, time and again, as well as become an activity on most international visitors and Dubai resident’s must do list,” says Steven Cleaver, director of shopping centres, Dubai, for Al-Futtaim Group Real Estate. 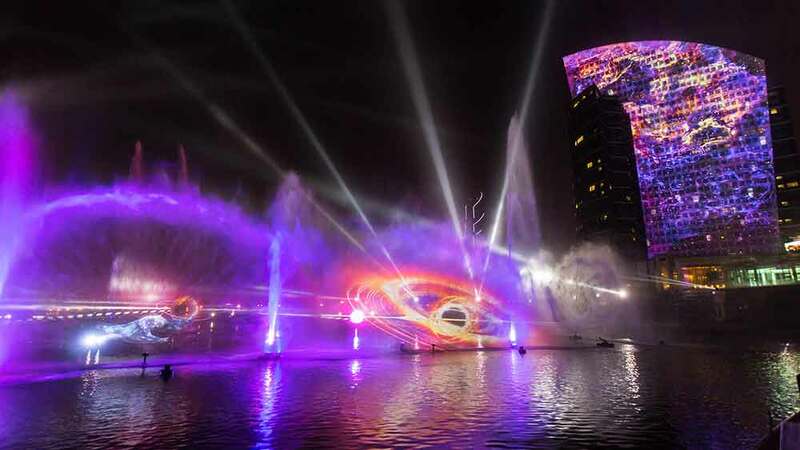 ­Soon after the launch of Stardancer, IMAGINE was awarded a Guinness World Record for “world’s largest water screen projection”. 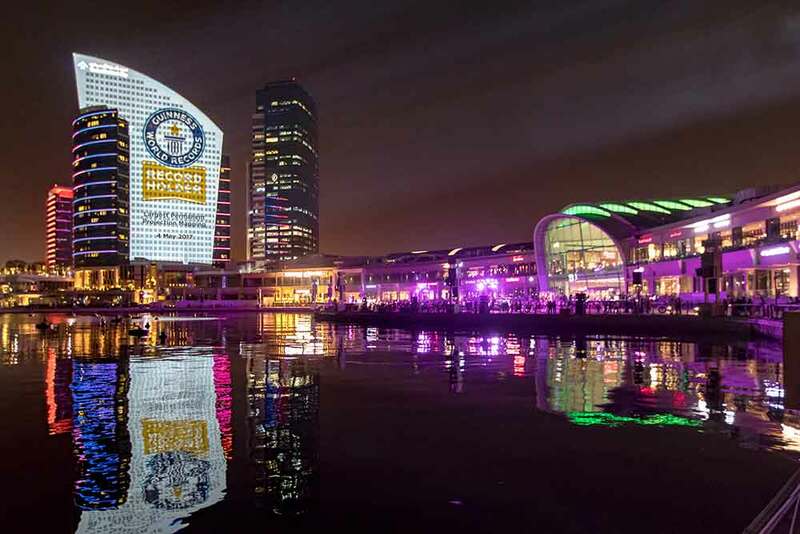 Now it’s been recognised for “world’s largest permanent projection mapping”, using Festival City’s InterContinental Hotel as a 4,857 square-metre digital canvas for this and A Child’s Dream. 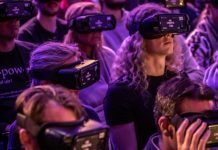 Both shows are 360-degree spectaculars combining many media and technologies into a 10-minute experience that captures the imagination of audiences at Festival City up to five times nightly. Stardancer, named after its central female character, is an artistic adventure set in a fictional universe told through a ballet of contemporary dance. The Stardancer is gravity personified and awakens each night to arrange the cosmos and set the planets in motion. If that all sounds a little too idealistic, then suddenly audiences are awoken from a dream-like state as a rogue star explodes into a beautiful and powerful supernova. As a black hole forms, it is up to Stardancer to save her masterpiece and herself and restore order to the universe. Launched in May, A Child’s Dream offers a fresh way to experience IMAGINE. A journey through the vibrant imagination of a young child, it features planes, magical whales and giant dancing robots with some very entertaining moves! In addition to the lights and special effects, there are also some clever optical illusions. 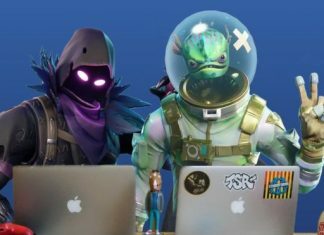 All this is set to a soundtrack of modern pop, rock and electronic music. 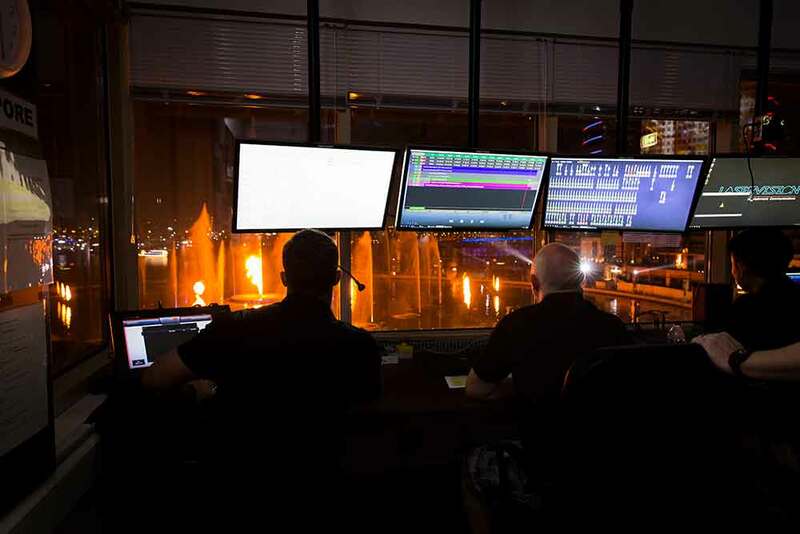 Spanning a performance space of over 20 acres (8 hectares), the permanent multimedia spectaculars combine projection-mapping, high-definition video, water-screens, dynamic fountains, lasers, surround-sound, intelligent lighting and powerful flame effects. Hip Hop champions the Identity Dance Company, award-winning dancer Jessica Hesketh and internationally acclaimed choreographers Caetlyn Watson and Daniel Jaber were involved in production of the two shows. 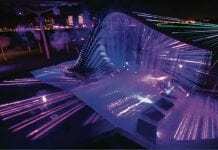 Six water screen are employed to create the holographic-like imagery featured in the shows. 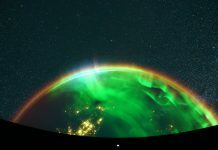 Together they create a record-breaking screen area of 1,800 sq m. To get the Guinness World Record for projection mapping, Laservision created a canvas that is 36 storeys high and 4.5 times larger than the world’s largest IMAX screen. 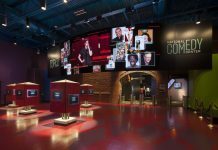 Wherever they are stood, audiences members are drawn into the soundtrack thanks to a 5.2 surround-sound installation. Stardancer and A Child’s Dream are staged in a rotating schedule each night from sunset. They run 365 days a year and are free. At the time of writing, that included four hourly performances each weekday and five at weekends. 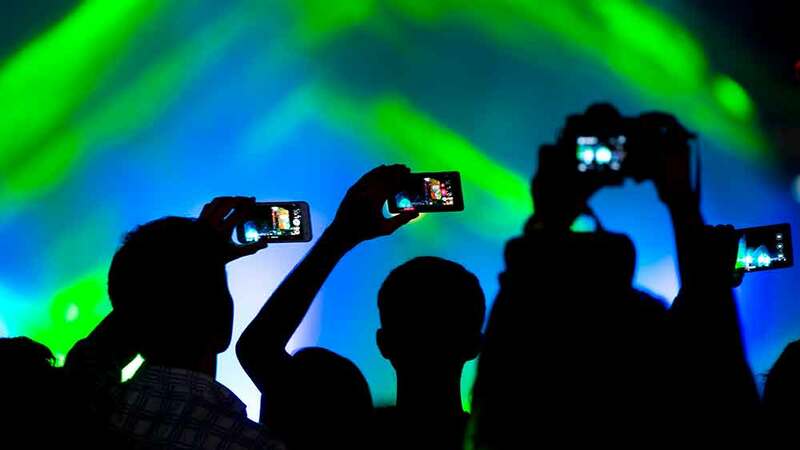 Audiences can enjoy the spectacle in mild conditions (or milder than the often oppressive local daytime temperatures) against a backdrop of the Dubai skyline and beautiful Dubai Creek. 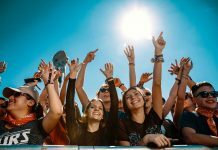 Designed for audiences of all ages and languages, the action-packed, largely dialogue-free shows entertain tens of thousands of Dubai’s diverse residents and visitors each week (the capacity in surrounding Festival Bay is 12,000). And it seems to be having the desired effect on footfall at the mall. 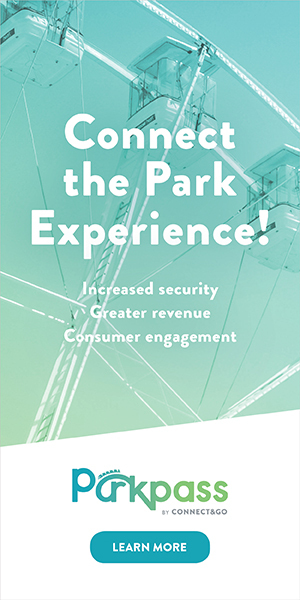 “We have already experienced a 40% uplift in visitors and we expect this positive trend to continue,” notes Cleaver. “Since we have made significant improvements to Festival Bay it has added a whole new dimension to the mall. The two awards picked up for IMAGINE represent Laservision’s second and third Guinness World Records. 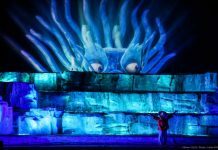 The Aussie firm was also pleased to receive recognition some years ago for “world’s largest light and sound show” at A Symphony of Lights in Hong Kong. 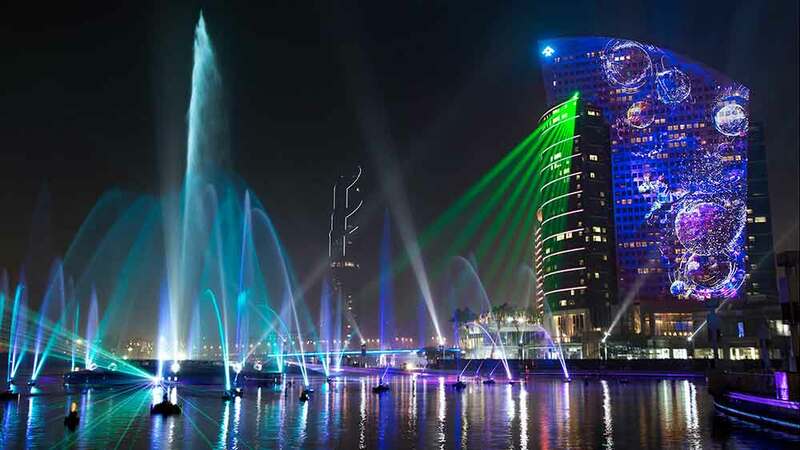 What IMAGINE contributes to Dubai Festival City is a show, or shows, that bring water, land and sky to life by exploiting two of the mall’s two key assets – Festival Bay and the InterContinental Hotel – to their full potential. 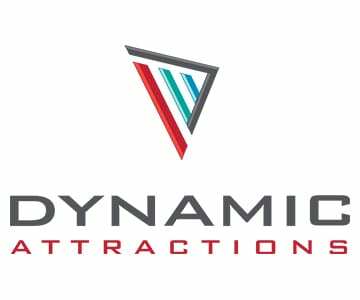 A third multimedia spectacular using the same show technology will be launched in December. Hotel guests wanting an early night had better close their curtains.